Previous Post For Mali: Hurrah to the French! Oh wow, i saw this coming. I have been waiting for a review to this piece, please please tell me someone that i wasn’t crazy to lose my mind over lines like “a few years ago,i decided to start treating them as somebodys”. Like wow! Terrific piece, Pa Ikhide! Terrific! Nwubani is a curiosity. Sincerely. You know the “anti-intellectual crowd that offered high praise and unrestrained glee at every sentence in Nwaubani’s essay” might be the ones who actually got the piece…the truth sometimes unfortunately can be bitter. After all, most of the harshest critics of the piece are diasporeans who enjoy the pomp of the oyinbo man’s life. Not saying Nwaubani didn’t sound kind of uppitish…but it might just be a true reflection of things. I say this because I’ve there…and sadly the slavish mentality of the lower class in Nigeria seems not only inherent but unsheddable, i only wonder at people who say Nigerians don’t have an attitude problem. I don’t know a lot, I’m still a young chap but to me it seems this is just one of the symptoms of the mesh that is the Nigerian society…dysfunctional and at times apparently hopeless. If the objective of the essay is to highlight the plight of the househelps in Nigeria with a view to remedy,then the writer,Adaobi Nwaubani has done a pretty poor job.If however she intended to provide entertainment with the experience of Nigerian househelps, as cruel as this goal certainly is,She is on target.What is more depressing to me as a reader is the arrogant tone with which she narrates with relish her family, friends and personal stories of the demeaning and dehumanising living conditions of the Helps under their(family, friends and personal)roof.For entertainment yes.But pray what manner of persons would cheer at the suffering of another,if not sadistic.To be sure most of Nwaubani’s narration may well be true but the essay would have been more purposeful to society at large if it paid as much attention to condemning the maltreatment and more importantly drawing a remedy road-map.Instead she says”I don’t blame my father” forbidding his househelps from singing.I do agree with Ikhide that perhaps a redeeming effect of the essay is that it may inadvertently prompt us all into debates on how this neo-slavery can be reduced significantly if not stopped. Victor, Miss Adaobi wrote the piece for an audience that laps up such negative stills on Africa. Her piece is insensitive and in bad taste. If part of the sample on which such a single monochrome tale is based is her own family, then Miss Adaobi also does her family some major disservice by what I suspect to be distortions undertaken to titillate her target readership. I do not doubt that a lot of families treat their helps the way Adaobi narrates, but that she was very soulless and almost defensive of this inhumane treatment is what I find revolting. Again, from its title, the piece is supposed to be about class divisions and development, but that only got a couple or so of weak paragraphs, completely overshadowed by her treatise on how the vicious cycle continues. Trecia Nwaubani displays of narrow mindedness only successfully indictes her background and redicles her parents good intension. She shows a careless attitude in her supposedly careful up-bringing, she and her siblings poor relationship with there repeated house helps underscores the exposure and intelligence of her background . This damaging ‘single story’ for a morsel of bread? Very selfish! Her choice of words kills her intension and vision to fight against child labour, it posits her as being overtly ambiouse, she is more intelligent than her piece suggest. I wish her well. It would have been nice for her to personalize the essay to a point in which she confesses her sins and more, i hope she does a recant,(silly me,who does that). However, in a sense judging by the comments on linda ikeji’s blog, it answers one thing correctly-the downtrodden, the oppressed see everything as a versus, they do not recognize their own power. Their rights if any resides with the rich, the “them”, the very people that pay their salaries and use their kids as helps. The middle class have ruined this country with their so called western education, its nasty, they are in a haste to belong to the upper echelons of the society, that they abandon their own duty to correct and serve as examples. They are the real nobodies, they’ll be the next attack of the rich when they run out of servants and feral “smellies”. As Laila Lalami (Moroccan novelist) stated in her essay “Politics of Reading” published in Gods and Soldiers. Somebody or Nobody of Adaobi Tricia Nwaubani for the New York Times is a perfect example. Perhaps, she was requested to write a sensational piece. Her essay might be harmful and offensive, she might have appeared to be callous. However, whether we like it or not, there is a grain of truth in her essay. Let us face it, most Nigerians are indeed inconsiderate towards their house maids (house girl, house boy…. However you wish to refer to it). it is something that we need to fix. Growing up in Nigeria, I did not know one single person that treated their house help right, except my grandmother, of course. The rest, starting from my aunts and uncles used them as a beating drum. Even, sometimes, made them clean the house from dusk to dawn without food. I, different from Adaobi, sneaked in to lend them a hand and sneaked off when the adults arrived. If not I would be spanked. As I said earlier, let’s face the truth and find a solution, period. @ Mary, I quite agree with you. I have not read Adaobis piece, however I know Nigerians have a penchant to get angry over asides and forget the real issue. What goes on in Nigeria and some friends tell me in some parts of Africa is what will be called slavery in 19th century America. However when someone mentions it we all get hot and puffy. My take on this, is while Adaobi might have a poor way of getting her message across, she definitely has opened the door for this conversation to be had in Nigeria, about Child Labour and this issue of ‘helps’. That is what we should be doing and not jumping on the bandwagon of who can write the best rejoinders. I think Adaobi’s piece inadvertently highlighted something that I have come to see in the Nigerian psyche – a lack of empathy and compassion born out of a profound lack of self-awareness. We don’t seem to have an ability to step out of our narrow viewpoints and really look at ourselves. I’m sure she thought she was making an insightful observation about the state of class in our country – and she was – only she wasn’t making the statement she probably thought she was. In highlighting the plight of househelps – which speaks to a more profound problem of poverty, class and crass materialism – she revealed the real reason why these problems continue to persist in our country: our inability to empathise with each other. For her, treating her househelps like people does not extend beyond basic politeness – she never actually questions the brutality of the Nigerian class system and why it is so dehumanising, because she CAN’T. She can’t think that far, she can’t step outside of herself that much to really try to understand it. And its not a problem with her as an individual, it’s a problem with our society. How we raise our children, what we show them is important and what we ultimately raise them to aspire to. Adaobi isn’t an anomaly. She’s typical of who we really are: even underneath the shiny sheen of the Diaspora. Unfortunately for us, she just happens to have a bigger stage to project herself and not enough self-awareness to pretend otherwise. I have been trying to find the words. Chinelo, you just articulated what had been churning in my head, disturbing my peace of mind for the last few days. Thank you so much. “…And its not a problem with her as an individual, it’s a problem with our society. How we raise our children, what we show them is important and what we ultimately raise them to aspire to. Adaobi isn’t an anomaly. She’s typical of who we really are: even underneath the shiny sheen of the Diaspora. Unfortunately for us, she just happens to have a bigger stage to project herself and not enough self-awareness to pretend otherwise.” These lines capture it for me, Chinelo. Well said. Totally agree with every word, Chinelo. It is our inability to look inwards that is the real problem underlying all social issues in Nigeria including house helps and how we treat them. Our lack of ability as Nigerians to look inwards is also why we choose to expend all energies on criticising Ms Nwaubani and her family instead of lobbying our lawmakers on introducing laws to regulate the employment of domestic help in Nigeria. We really need to look inwards and see the problem for what it is rather than focusing on what image of Nigeria is being projected to the world. We know the problem exists. Lets focus on doing something about it rather than shooting the messenger and distancing ourselves. We can shoot the messenger forever; the problem remains and it will not go away unless we do something about it. Chinelo, I totally agree with you. Well articulated. Nigeria as a society shies away from discussing our issues. We mostly just cast blame. I didn’t like the article. I have lived the life she is talking from. And what she wrote didn’t feel true to me. Can what she describes happen? I am sure. Is it representative of what normally happens? Well I have a sample of two opinions, hers and mine, so I say no. If there is a possibility of even one child being subject to kind of abuse that she describes, should this domestic under-aged-househelp tradition stop? Yes it should. Is it stopping, however imperceptibly, as the moral zeitgeist moves on? Yes it is. Ascribing intent and motivation to the other? So you tried being nicer, and then the domestic workers thought you underserving of respect? What, say, are the signs of respect? Did the help try to treat you as she would her friend? Did she forget her place? Haba, this isn’t honesty. This is . . . this is blindness. Poor Adaobi. Most valuable lesson of all might be that a writer no matter how proficient needs a good sounding board. One can’t doubt her intelligence nor her ability to understand that there is a proud perceptive Nigerian audience paying attention to what she says…reading The New York Times. Why on earth would she antagonise it by writing for the West. I can’t be convinced that her reasoning was that simple. I have a strong feeling that in using her family, she was admitting ‘…I am not talking about other people’s prejudices. These are mine and my family’s and we are still finding our way out of them”. She has a point when she says that some people are so used to the whip that when you are kind, they understand and interpret the kindness as weakness: “You cannot possibly be the madam if you are nice. Madams are not nice.” The damage is so deep that we might have to forgive Ms. Nwaubani’s “presentation”. A few more drafts, a few discerning “Nigerian” sounding boards and the rough edges would have been smoothed out. We might have been no wiser to the ironing out of the creases. Frankly, I am surprised at what Adaobi’s article seem to suggest about the treatment of househelps in Nigeria. At best, that treatment is babraric and shallow minded,. I say this because in Ghana, lots of NGOs like the Ark Foundation have done so much work in educating the public about ill treatment of househelps. Not wanting to generalise, I will wager that Ghanaians treat their househelps better. Fact is that you will not even get anyone to stay with you these days. Everyone is going to school or selling or learning a trade. Your own poorer relative will pack bag and baggage at the leastt sign of condescension. Ghanaians have wised up on human rights and its implications and such things will not just wash.
Maybe, Adoabi’s article is the wake-up call for Nigerians to find a lasting solution to this canker. 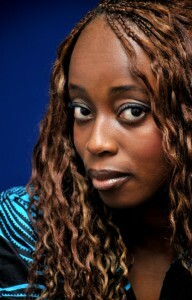 “Adaobi’s piece, while very articulate, and a masterfully crafted entertaining write, leaves one with a sour after-taste. I can’t share this. I love the art of it, but it is a no from me. My attention was drawn to Adoabi’s article on a friend’s Facebook page, and I decided to read it for myself. What saddened me about that article, and I use the word, ‘saddened’ carefully, is the fact that, she clearly grew up in a home where domestic helps were mistreated, and grew up to accept it as normal. So, in a way, I do not really blame her, because this orientation is one that was embedded in the core of her foundation and once the foundation is faulty, the building itself is bound to be shaky. I do not believe in hasty generalizations because our realities are different. I grew up in a home where we had domestic helps, who were mature adults, and were treated like integral members of our household, and as a grown woman, I treat my maids like family, and I prefer mature people of employable age, not children. I am also certain, that no child of mine would grow up, despising their domestic service providers because we have not modeled that for them. Having domestic help is not a crime, but abusing/mistreating them, is. I have several friends, and know several people, who treat their domestic workers really well. One of my friends, her maid of 15 years recently got married, and I am privy to how good she used to treat her. Another friend has a maid in the University of Abuja. If she is traveling out of the country with her family, the maid goes with her as well, and is like an older daughter. The fact that we see a few bad examples, does not erase the fact that several positive ones abound- all it takes, is to look a little closer. That being said, we do have our problems as a nation, which in my own estimation, is as a result of problems at the family level, which is the bedrock of the society because anyone in a position of leadership today, came from a family and had certain principles, values, and morals imparted into their lives by their parents. These affect how they turn out as adults. One thing is sure, no matter how long we live abroad, no matter how much we want to, we cannot change the fact that we are Nigerians, and we should highlight our problems with a view to proffering positive/workable solutions. The fact that she was born into a privileged family as opposed to her ‘feral’ smelling relatives who end up becoming ‘helps’ does not necessarily, give her the right to treat them as sub-humans and try to offend our sensibilities by this lame attempt to justify these horrendous acts. Yes, we are sensitive to our image, as a people, as individuals, as a country, we take exceptions to these cruelties being passed off as norms. The perpetuation of a single story of Africa, even by misguided Africans seeking Western endorsements, must be confronted and addressed. But Adaobi has sold herself off cheap and her family even cheaper. And all for what? Pa Ikhide opened the debate without showering abuses. Gbam! As for Adaobi, people were looking at her uneven article because they expected too much from her as a writer and author. Adaobi may need to balance the equilibrium in order to escape ‘pen attackers’ in future. I wonder who told miss nwaubani that Americans have equal rights! The only thing this her write up passed is grammar. She really knows how to combine words to make emotion laden sentences. The aim of the write up is clear and unfair generally to nigeria and Nigerians and particularly to Nwaubani’s family and adaobi nwaubani herself. How could she had supported this evil and made only a very weak attempt to make them feel like “somebodys” some other Nigerians made and r still making better attempts so that those ‘nobodys’ become somebodys. Adaobi only made a clear attempt to paint her nigerian family and neighbours as black as she could and made the whites look even whiter. Adaobi, what about the slave trade?? 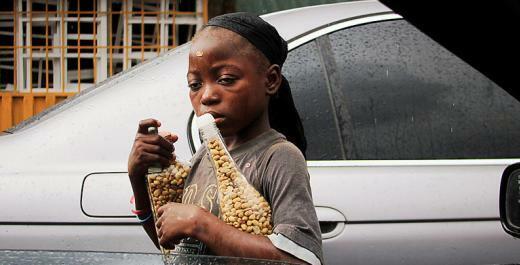 Is that a sign of equality?… Nigeria has not reached certain level of but it is not as bad as she painted. Please rights activists should take adaobi and her father to court so that from them others will learn lesson….because adaobi failed to offer us solution to this mess in her fathers and her neighbours houses, I only understand guilt is weighing her down and she is sort of making public confessions! Truly Nwaubani knows the interest she represents. I hate child labor and abuse in all its ramifications including in the manner nwaubanis father did it, and will support individuals sincerely working to eradicate it be it in Europe, africa, America, asia…(-for this problem exists in all nations) But not someone who is emotionally raising smokes where she lighted fire…. Pa Ikhide as you are fondly called by your numerous children, What is literature- are there boundaries for what is good or bad literature? Does literature not serve as a voice- ( a voice can be anything from husky to sonorous). Without works like this how do we get into intelligent debates on what we need to dicuss, what we need to focus and not focus on. Her article has sparked up a debate, she has only pointed out the obvious – the rest lies with us. She has resonated the recurring… Where do we go from here. Even though i may like to bash her but that’s not the point. The point is how we as a people move from this low point. He was laughed and howled at. He was called all sorts of unprintable and unpalatable names. A communist, a hypocrite and a frustrated old man.